Choosing where to plant your next set of roots can seem like a daunting task, especially when you have a world’s worth of cities and towns to choose from. The possibilities are virtually limitless. So what makes the Twin Cities rise above the rest? If we’re being honest, lots of things. If you’re a foodie, we have an army of James Beard Award-winning chefs ready to entertain your taste buds. If you’re an outdoor enthusiast, Minneapolis’ public park system ranks No. 1 in the nation, and St. Paul is right on its heels at the No. 2 spot. Career opportunities? The Twin Cities are home to 19 Fortune 500 companies, all with an open desk waiting for someone to get to work. But the fun doesn’t stop there. 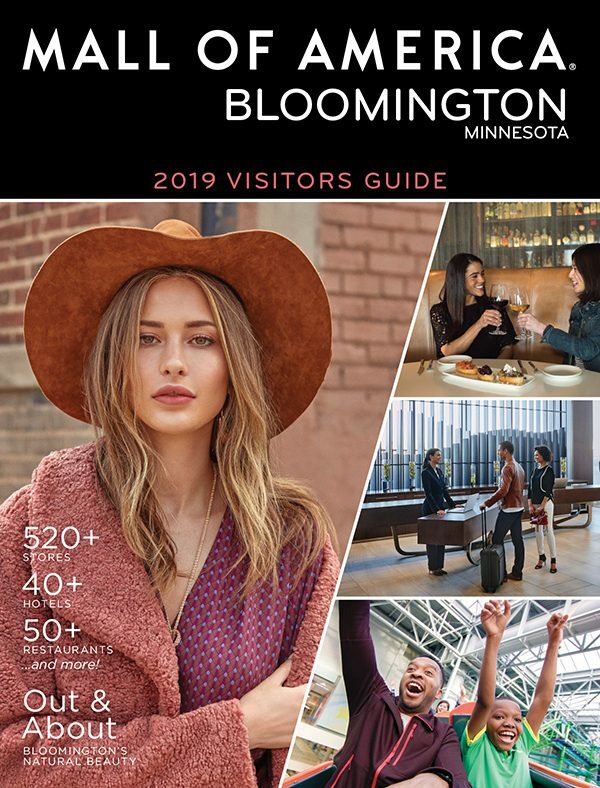 Entertainment options including Mall of America, an engrossing theater scene and teams for every professional sport provide the building blocks for memories that will last a lifetime. Let’s dig a little deeper. What’s the Difference Between Minneapolis and St. Paul? City of Lakes, Mill City, The Mini Apple. Minneapolis is known by many names. 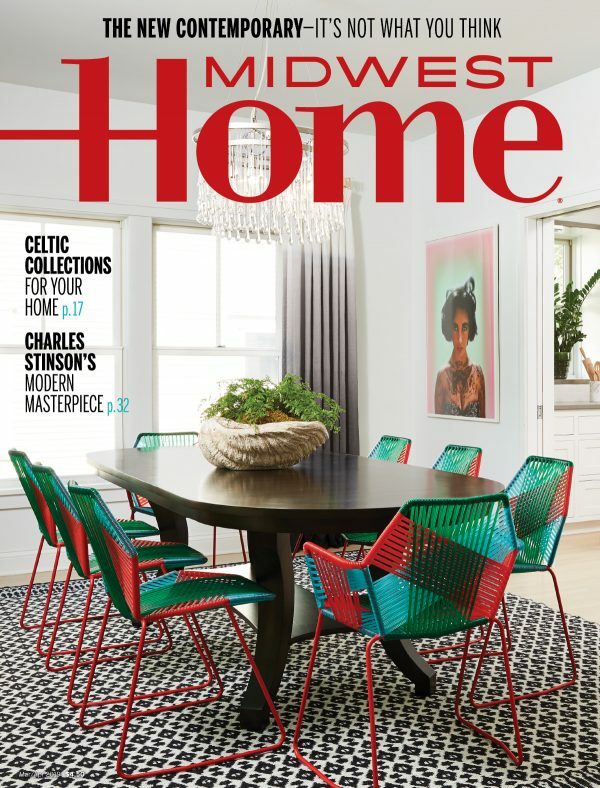 But for many residents, their favorite name is “home.” And it’s easy to see why. Let’s start with the lakes. More than 20 pristine lakes, streams, wetlands and rivers can be found within the city’s limits. The stars of this liquid show are the Chain of Lakes—Brownie and Cedar Lake, Lake of the Isles and Harriet, and Bde Maka Ska (formerly Calhoun). 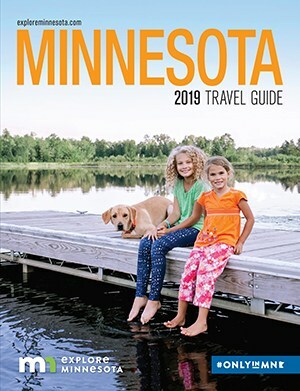 Throughout the year, residents can be found walking, jogging, biking and cross-country skiing their way around the five lakes as they enjoy Minnesota’s warm summer rays or crisp winter air. One of the most unique aspects about the city is our skyway system. Stretching for a total of 9.5 miles and connecting a total of 80 city blocks, the skyway system in Minneapolis is the largest contiguous skyway system in the world. This city within a city is a walkway of stores, restaurants and services two stories above ground, and it is a hidden ecosystem from those walking the streets. These contained bridges between buildings come in handy during the frigid Minnesota winters: They give residents the ability to go from their car to their desk or on a lunch stroll through the city and back without ever having to say hello to Jack Frost. No matter your personality type, there’s a neighborhood for you in Minneapolis. Like a patchwork quilt, each section is unique, but when taken as a whole it creates a beautiful tapestry. If you have an affinity for nightlife, nightclubs, bars and live music venues, downtown is the place to be. If sampling the latest craft brews and an appreciation of the arts are your thing, you’ll fit right in in Northeast Minneapolis. Industrial-chic lofts and condos, trendy boutiques and Target Field—home of the Minnesota Twins—are what you will find in the North Loop. And Uptown was made for outdoors enthusiasts with its many lakes and trails. Of course, once you choose a spot to plant some roots, it never hurts to branch out and explore what’s around you. History. It’s something St. Paul does well. And how could it not? Whether you’re talking about the city being the epicenter for the state’s politics or its storied gangster past, St. Paul is brimming with a character that’s much different than its sister city. This history is immediately evident in the city’s architectural marvels. Perhaps the most famous of these is Summit Avenue, the longest avenue of Victorian homes in the country. Among these beautifully crafted abodes are the past residences of “Great Gatsby” author F. Scott Fitzgerald and railroad tycoon James J. Hill. If you’re looking for more architecture to adore, the Cathedral of Saint Paul and the state capitol building—which sports the second largest unsupported marble dome in the world—are stellar options. You wouldn’t know it at first glance, but St. Paul used to have quite a troubled past. Now, though, you only see its memories when you go sight-seeing at its historic spots. Back during Prohibition, gangsters, bank robbers and bootleggers ruled the city using an extensive underground tunnel system where smuggling, racketeering and gambling were all commonplace. All of these activities eventually garnered the city a reputation as being a nest for ne’er-do-wells. 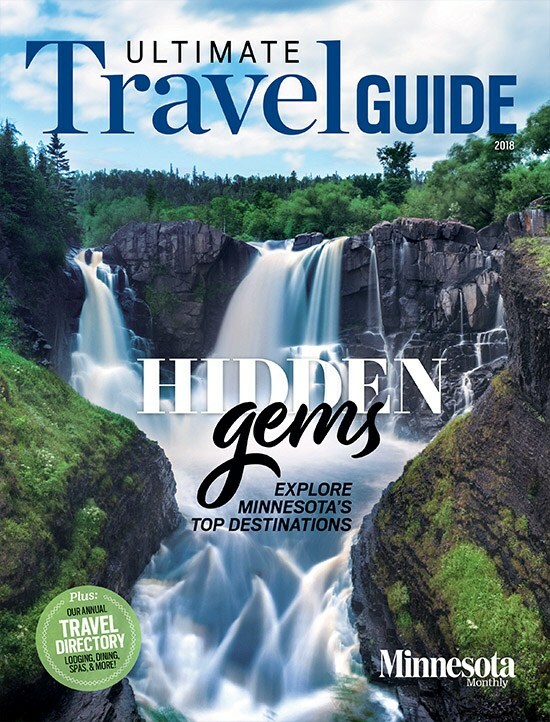 This past, however, has given rise to one of the city’s more extraordinary attractions—the Wabasha Street Caves—where residents can explore the city’s tunnels, learn about its rough-around-the-edges history and even swing dance to a live band. And while it might be quieter than its twin across the river, it’s all about quality, not quantity—there’s plenty going on for residents to get out and enjoy and sink their teeth into. Grand Old Day ushers in the arrival of summer every June with a 30-block bash featuring food vendors and live music, and Music in Mears offers lyrics lovers a chance to rock out at weekly outdoor concerts every summer at charming Mears Park. Culinary perfection takes many forms in St. Paul, too. If you’re looking to class it up for the evening, Meritage has the atmosphere and the French cuisine your taste buds are searching for. Or if you’re craving something a little more classic, Casper & Runyon’s Nook serves up mouth-watering burgers and fries. 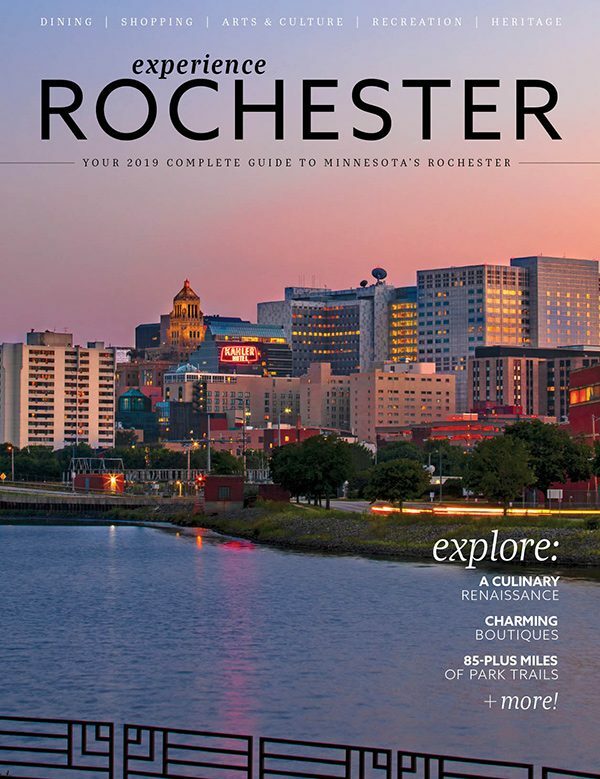 But however you choose to spend your time in St. Paul, its unique mix of history, old-world charm and entertainment has a little something for everyone. 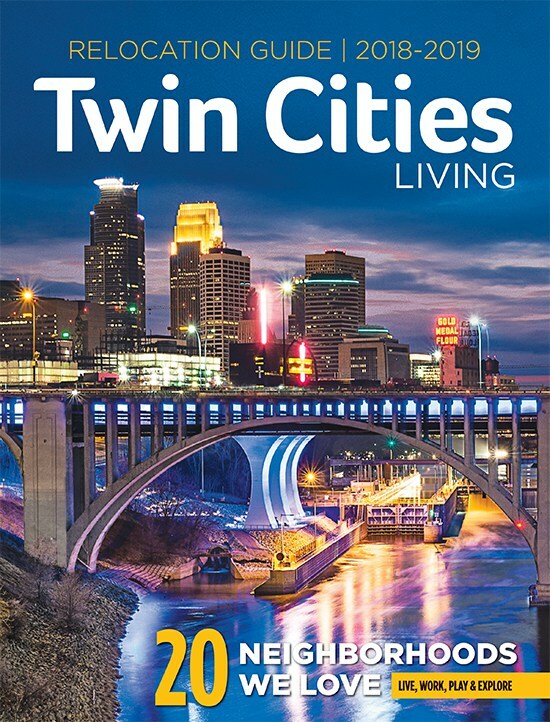 What Makes the Twin Cities So Special? When it comes to outdoor recreation, the Twin Cities are top of the class. The crown jewel of city park systems in the country, the Minneapolis Park System covers 6,800 acres across 179 park properties, including the 55-mile Grand Rounds National Scenic byway, 102 miles of Grand Rounds biking and walking paths, 22 lakes, 12 formal gardens, seven golf courses and 49 recreation centers. We hope you’re well rested, you’re going to need it. Minneapolis has also taken home the crown for the No. 1 park system in America by the Trust for Public Land—a score based on park access, park size, and facilities and investment—for the past five years. In the world of sports, that’s what’s called a dynasty. In addition to winning the top spot, the city’s parks received a perfect 5-bench rating, with scores based on park size, percent of residents within a 10-minute walk of a park, playgrounds per 10,000 residents and more. It’s also worth noting that Minneapolis was one of only three cities in the country to earn a 5-bench rating. Refusing to let its sister city have all the fun, St. Paul sports an almost equally impressive park system itself. 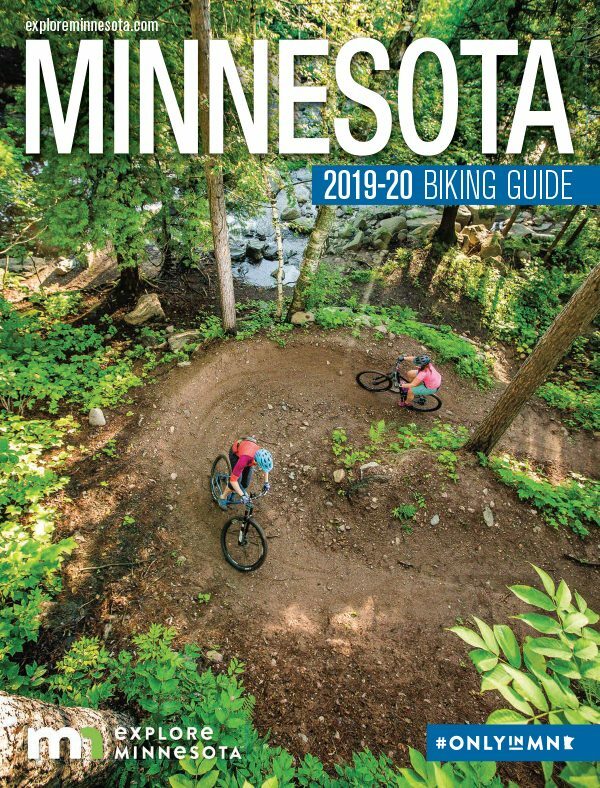 The city’s 179 parks and open spaces, including Como Park Zoo and Marjorie McNeely Conservatory, 25 city-operated recreation centers, 100-plus miles of trails and three aquatic facilities helped it take home the No. 2 park system in America by the Trust for Public Land for the second straight year. And remember that perfect 5-bench rating Minneapolis earned for its parks? St. Paul is another member of that trio that also earned the coveted rating. (The remaining city is San Francisco.) That’s right, two of only three cities in the entire country to earn a perfect rating are right here in the Twin Cities. After all that time outdoors, you’re going to need to refuel with some quality eats. 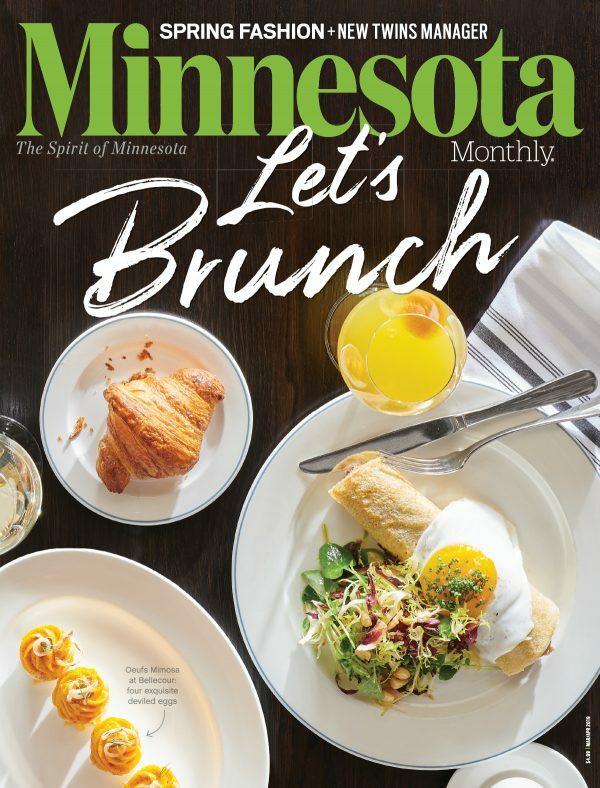 Fortunately for residents of the Twin Cities, their choices for taste bud tantalizing fare is seemingly endless. But don’t take it from us. 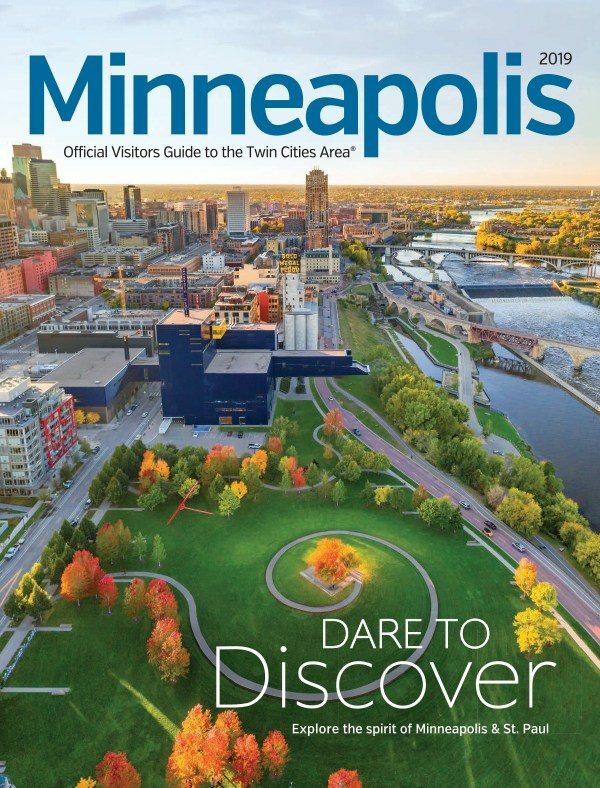 The Wall Street Journal recently ranked Minneapolis at No. 4 in its world list of “Where to Travel in 2018—10 hot destinations for adventurous sophisticates, curious foodies, and deep-pocketed beach bums” list, in part thanks to the city’s number of 2018 James Beard Award semifinalists—12, but who’s counting? This dozen of whisk wizards includes the likes of Gavin Kaysen, who ended up taking home Best Chef: Midwest for North Loop’s Spoon and Stable; Michelle Gayer of Salty Tart; and Alex Roberts of Restaurant Alma. This is just a sampling, however. Mouth-watering culinary creations can be found in every corner of the metro. You’re of course going to need to wash all that fare down with something, and luckily for residents, the Twin Cities are filled to the brim with craft breweries in search of creating the perfect pint. A titan in not just the local scene but also nationally, Surly Brewing Co. must have taps crafted by King Midas himself because everything they pour seems to be liquid gold. And being named the top brewer in Minnesota by RateBeer—which is quite a feat considering the state is home to more than 100 breweries—wasn’t enough for this sultan of suds. No, RateBeer also named Surly Brewing Co. one of the top 100 brewers in the world—and the only brewery from Minnesota to make the coveted list. Drink up. It should come as no surprise that two of the cities with the best park systems in the country are also two of the greenest. Minneapolis and St. Paul ranked 12 and 27 respectively on Wallethub’s “2017’s Greenest Cities in America” list. The list graded the 100 largest cities on 22 key “green” indicators that included greenhouse gas emissions per capita, smart energy policies and initiatives, and green job opportunities. One of the contributors to these impressive rankings is Metro Transit, the cities’ public transportation service. With a total of 130 routes spread across buses and light rail and covering an area of 907 square miles, Metro Transit gave 81.9 million rides to city and suburb dwellers in 2017 alone. One of the most alluring aspects of this service is the 300-plus miles of highway shoulder space allotted for bus-use only. This allows riders to skip the morning and afternoon rush hour, leaving the rest of traffic behind in the bus’ ultra-low sulfur, biodiesel blend dust. For those who prefer an even greener way of life, there’s Nice Ride Minnesota. This organization has 190 seasonal bicycle stations across the metro with a fleet of more than 1,700 rentable bicycles that residents can ride from one end of the city to the other for work or play, no greenhouse gas emission required. No matter your idea of fun, there’s something for everyone in the Twin Cities. Sports fanatic? You’ve come to the right city. The Twin Cities are home to teams from every major professional sport, all with their own die-hard fan base hoping the home team hoists the trophy after the dust of playoffs has settled. If basketball is the name of your game, the Timberwolves and Lynx—the latter of which who have hoisted the championship trophy four times in the last seven years—have your hoops fix covered. If America’s greatest pastime is your favorite, the Twins are sure to knock your expectations out the park. The Vikings are here to fill your Sundays with touchdowns and Gjallarhorns, and the Wild skate their way into the hearts of hockey fans all over the state. Add in the blueprints of world class arenas such as Target Field, the newly remodeled Target Center and U.S. Bank Stadium, the largest public works project the state has ever completed and you have the building blocks well worth the price of a game ticket. As if that’s not enough, the newest major league sports team to the state—the Minnesota United FC—kicked off its inaugural season in 2017 and in 2019, the team will have its own stadium in the Midway neighborhood of St. Paul. But we’re not done yet. St. Paul is also home to the Saint Paul Saints, a minor league baseball team whose ownership includes funnyman Bill Murray. You read that right. If you’re lucky, the legendary comedian can be spotted in the crowds or even working the ticket booth on game days. If the performing arts are more your style, the Twin Cities are sure to have a ticket and playbill ready and waiting for you. All of this creativity is anchored by the Guthrie Theater. The 285,000-square-foot theater houses (among other spaces) three stages with a combined seat count of 2,000, and its sublime interpretations of classic and modern works keep crowd after crowd coming back for more. Another powerhouse in the Twin Cities’ performing arts scene is Hennepin Theatre Trust. This collection of stages—Orpheum, State and Pantages—are known for frequently putting on crowd favorites and touring Broadway hits such as “Wicked” and “Hamilton” in lights. This, combined with a gut-busting comedy scene and a myriad of musical and dance troupes, will have you laughing, crying and applauding every night of the week. And don’t forget Mall of America—the largest retail and entertainment destination in North America. Besides its 520-plus stores and 50 dining options, the mall hosts more than 400 free events each year and has state of the art entertainment. There is Nickelodeon Universe—a 7-acre indoor theme park with nearly 30 rides and one-of-a-kind attractions—and SEA LIFE Minnesota Aquarium, where you can walk underneath sharks. Mini golf, virtual reality games, an escape room, a maze, zipline, comedy club and more are also tucked throughout the mall’s four floors, and Crayola, American Girl and LEGO experiences let the imagination run wild. Minneapolis ranked 8th greenest city in U.S.